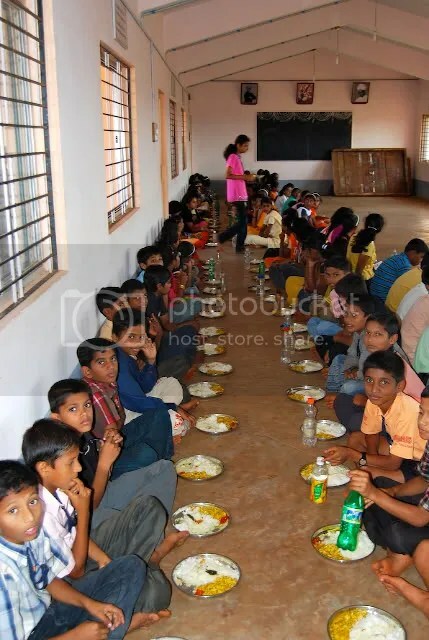 In 2007, the Shanbhag School in Kumta (and their parent, the Konkan Education Trust), started to provide lunch for all their students. In the midst of a long day, the students had previously rushed home during their lunch hour. There are no cafeterias or restaurants near the school. The school made a significant investment in cooking equipment and prepares a nutritious, vegetarian meal for the ~ 850 primary and secondary school students. Lunch is simply rice, sambar or daal, a lentil curry or vegetable and pickles (see actual student plate above). During my meetings with parents of Scholarship recipients, and listening to comments at the Parents Teachers Meeting, parents absolutely love the school lunch program. Parents are relieved of the pressure to pack a lunch every morning, or have it ready for the lunch break. Parents are also surprised (and glad) their kids actually eat the variety of vegetables and lentils the school serves. The school subsidizes the lunch and charges students Rs 80 per month (~$2 per month, Rs 4 per meal or ~ 10 cents per lunch!). Students not on the meal plan can eat occasional meals and drop cash in an unmanned donation box. Kids love the food too. Meals are taken in the company of friends (and associated peer-pressure to finish their plate). Lunch is done within 20-30 minutes, and since they still have an hour break, they get to play around, gossip, or browse the library. I showed up just before lunch time to “test the quality of the school lunch program.” I always have interesting reasons to be present wherever free lunch is served. 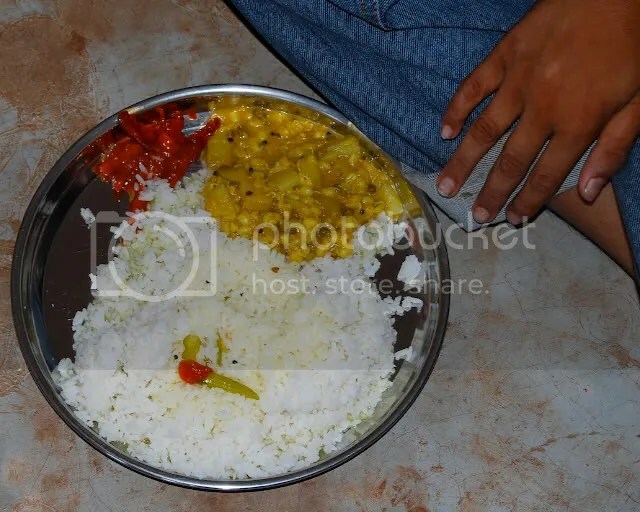 Very delicious food and a primary reason why we included lunch as part of the scholarship package for needy students. If your travels bring you to Kumta, you are welcome to join in for a delicious lunch. 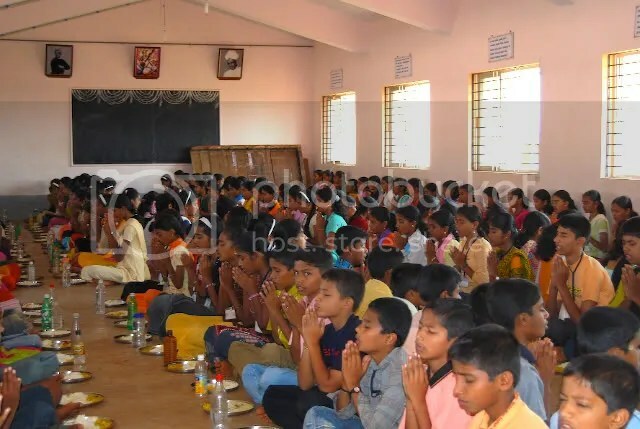 Note: In this post from 2014, you can see new pics and video snippets of students in the primary Saraswati Vidya Kendra, lining up for lunch and chanting the blessing. This was in December last on a “casual Thursday” at the school. Thus the student’s colorful attire. Students wait for all their colleagues to be served before starting.